I used them as closet doors! 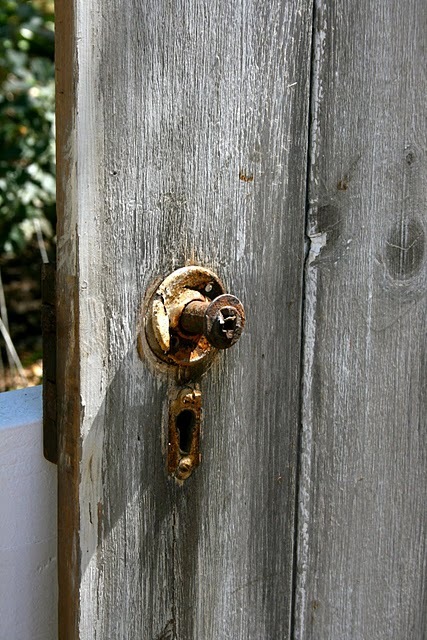 When I asked my carpenter to help me with this project...I asked him if he had ever used barn door hardware before. "yea, but on a barn"
and used chicken wire safety glass for the windows. Love this! 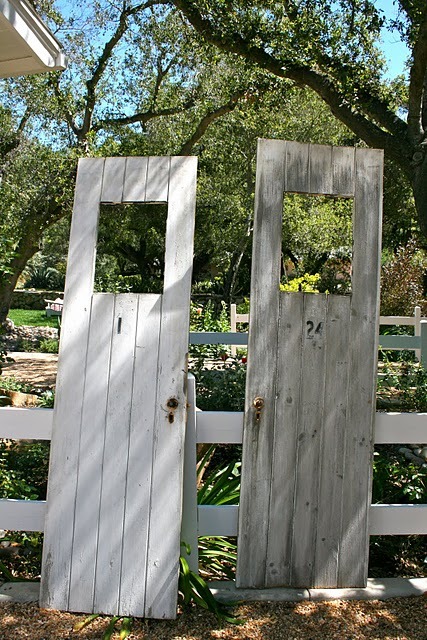 What an awesome idea for using old doors. Perfection! They look amazing! Love them! I love this! Are you going to reveal your bedroom and guest room soon? Your talent never ceases to amaze me Kelley! Are you kidding me!!!! Those are AWESOME!!!!!!!! every one thinks that are really fun...even big manly guys like them! Looks so good! Great idea! 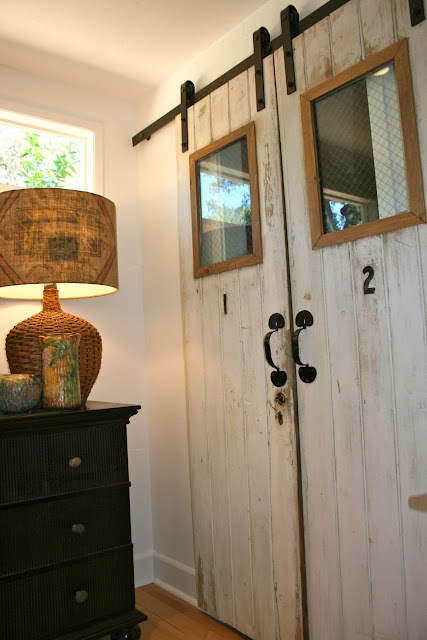 The barn doors look fantastic! 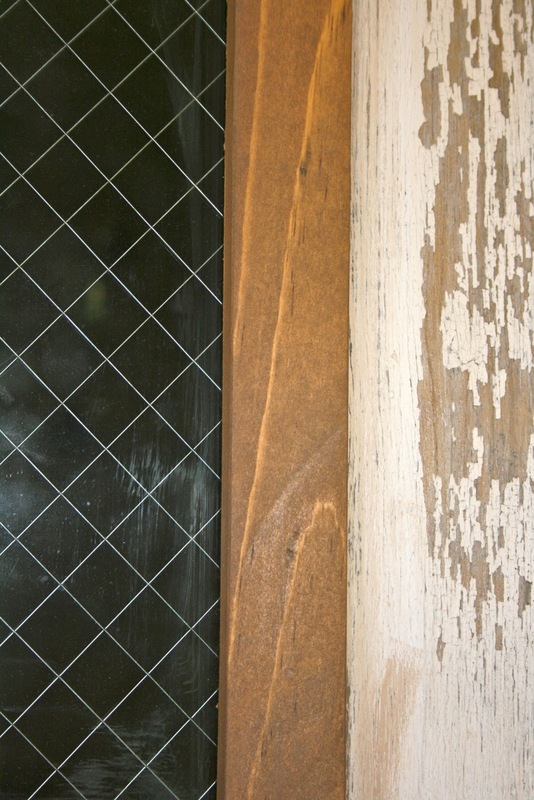 Are you going to paint the trim around the windows? 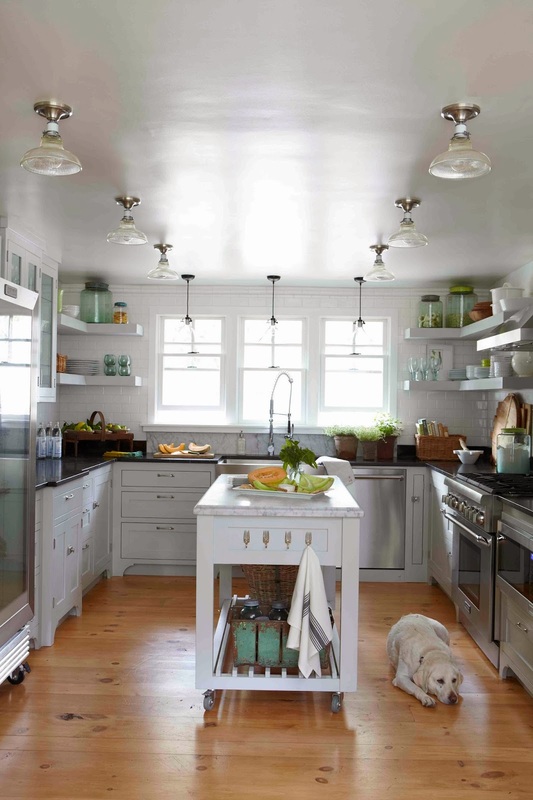 Am also loving the black sideboard and those fabulous lampshades (sigh). Have a great week. Thanks for sharing. Those barn doors are fabulously fantastic. LOVE THEM! Amazing job...I love how this looks. 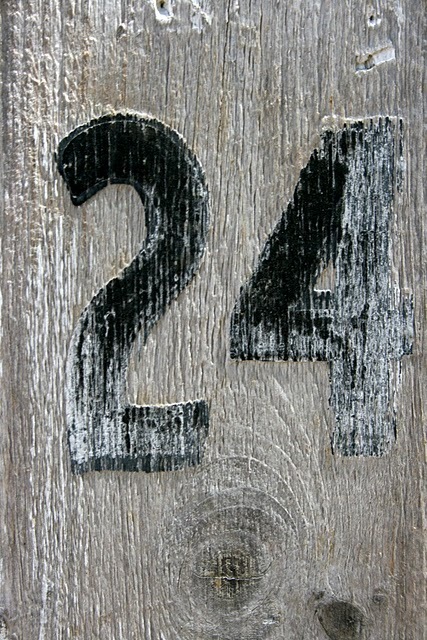 I would love to incorporate this into our home and you have inspired me! LOVE LOVE LOVE!!! Way to go! So very cool...thanks for the inspiration! 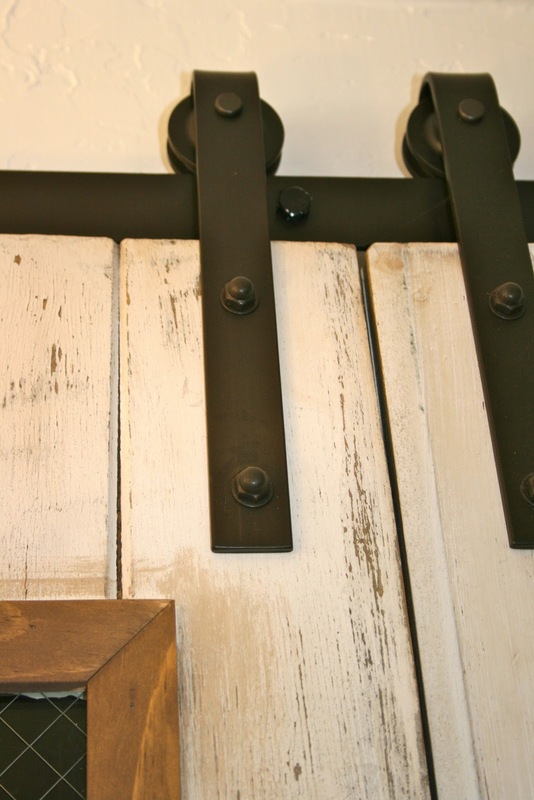 These doors just took my breath away! They're the coolest things I've seen in a long, long time! Oh my, Kelley. The barn doors are fabulous..absolutely fabulous! Love them. Is that a grape gathering basket on your table? Those look amazing! They look great in that space....well done! 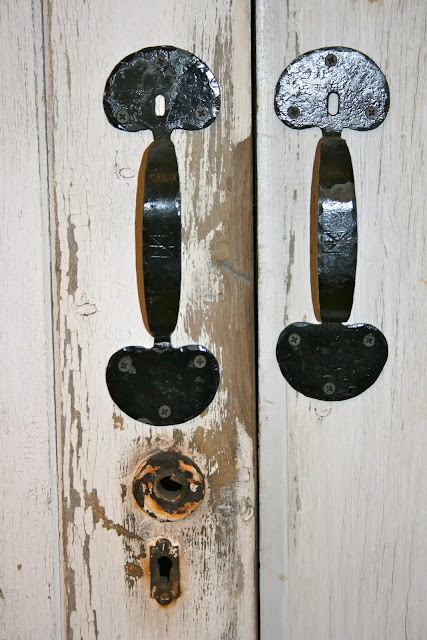 I am thinking of incorporating them into my future home - perhaps to close the pantry - so I really appreciate the tips on what to keep in mind. Thanks! 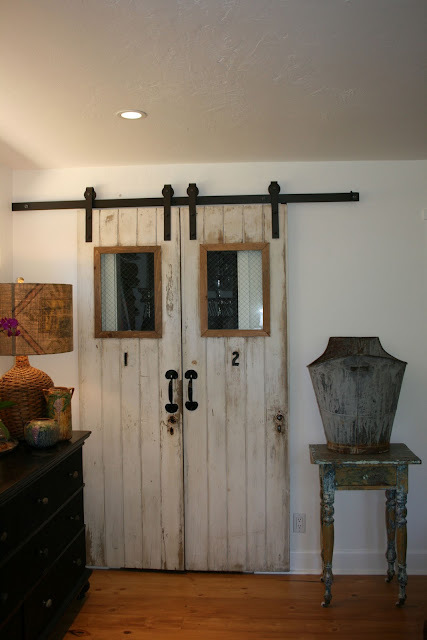 I love the barn doors...I cracked up at your carpenter's reply! Ingenious!! Would love this door treatment for a pantry in my future dream home!! kelley, i love everything you do but this takes the cake. these are amazing! i'd kill for something like this. wow. I LOVE what you did. 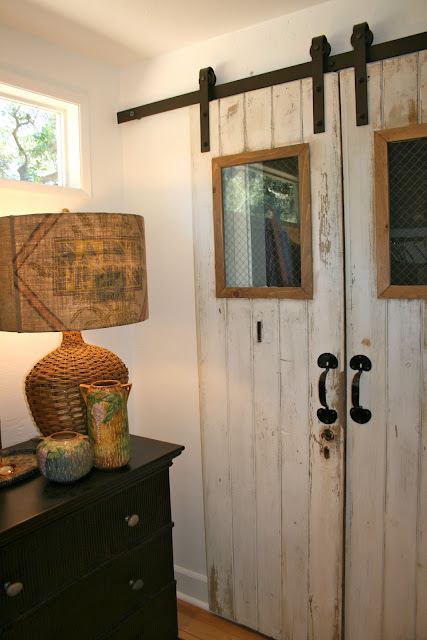 Barn doors are one of those heartsong things to me. The hardware is out of sight. LOVE LOVE LOVE. Good job, Kelley. Seriously beautiful. Love, love! Thanks for the update on how things are coming! Such a highlight to my day when your posts come in! This is such a great idea. I wish that I had room on the sides of my closet to do this. Our new house has those horrible mirrored doors that I just can't stand and I have been trying to come up with something unique to do for it but haven't yet. This would be perfect but won't work. Any other ideas I might incorporate? 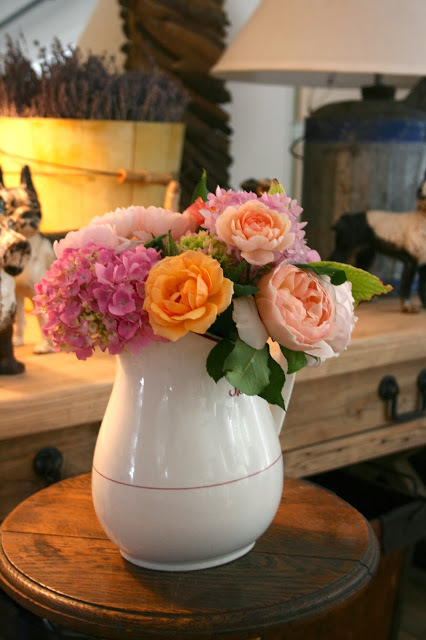 Just found your blog via my sweet savannah and so glad I did. 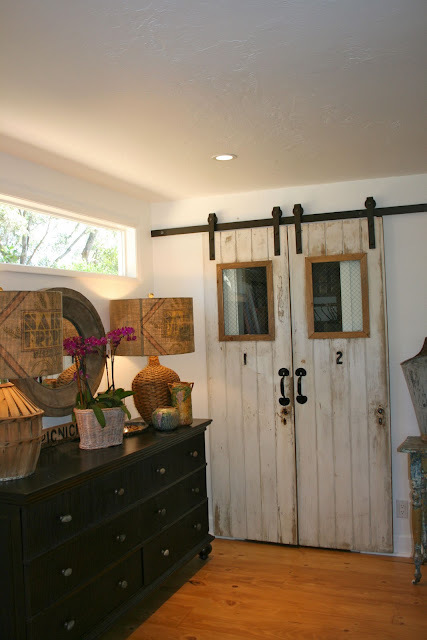 This post about the barn doors is great...Love your fearless approach to decorating! too fun! 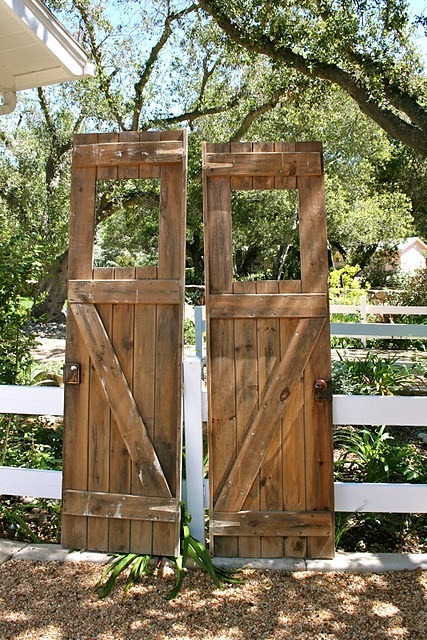 such great doors- I can hear them now talking to each other..."look were WE get to live now!" lucky doors! kelley the doors look AMAZING!!!! everything you do always does though:) xo. I am so happy that you like these so much. 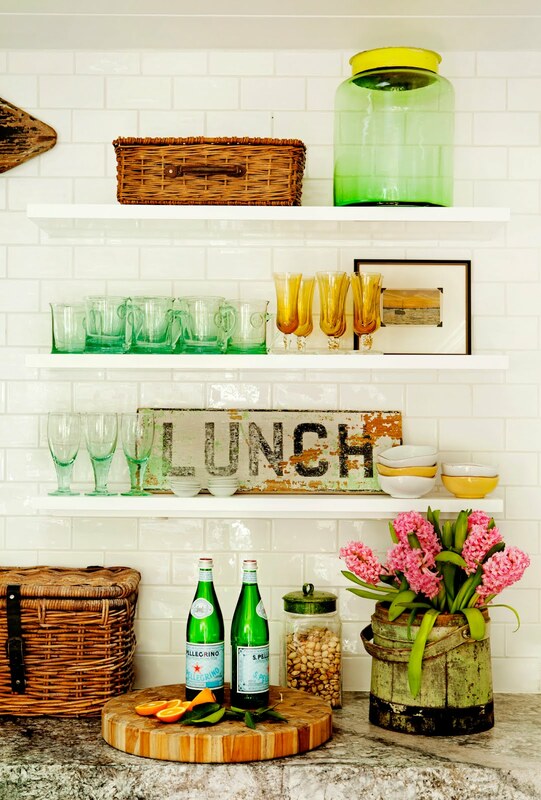 They are actually very simple but have a huge impact on the rooms. This would work in so many areas of a house and they are pretty practical for the most part. Oh and Angie! I just about choked on my coffee when I read your comment...toooo funny, but please don't sell your Kidney, my services are not all that expensive...really! O.M.G, you are so talented! I want these in my home somewhere. Love, love, love the look. I love the barn door, its so amazing! 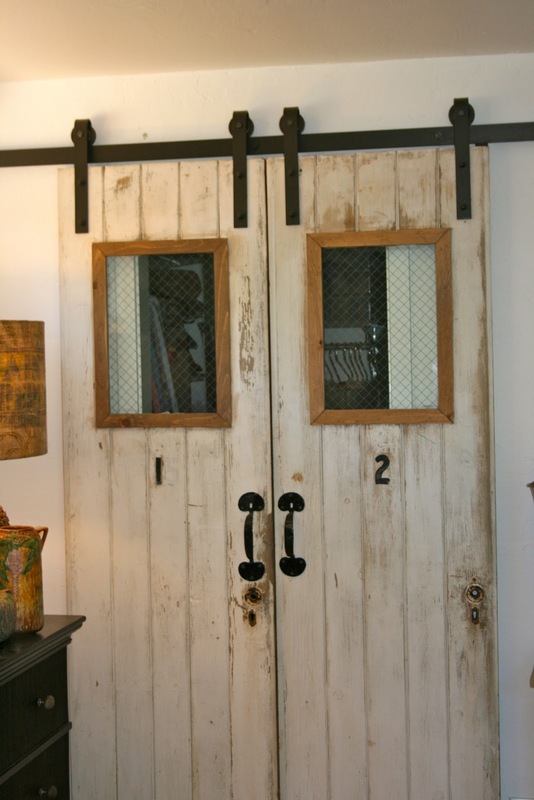 I love barn style doors, and yours look amazing! 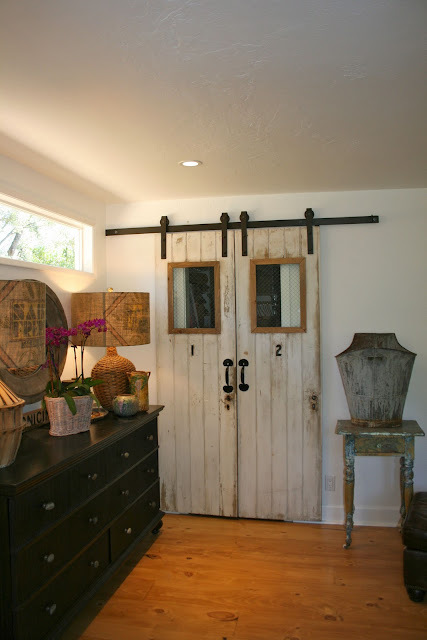 What a beautiful solution for a closet door! Thanks for sharing. I just love these ... they are great!! I love your doors! We just renovated our antique carriage barn and wanted to put in doors like this but angles didn't allow it. Glad I found your blog because it looks like you have some wonderful posts! Wonder where you got such awesome doors? Nice. I like this. Usually closet doors are really boring. This is so unqiue and just shocks the eye. If you bring guests they are sure to notice this beautiful door. Really your blog have very interesting and very valuable information. thanks for sharing.